Blog Archives - STOA Ltd. It is our pleasure to inform you that Arch. Damian Stoyanov will participate in this year’s edition of VIZAR! 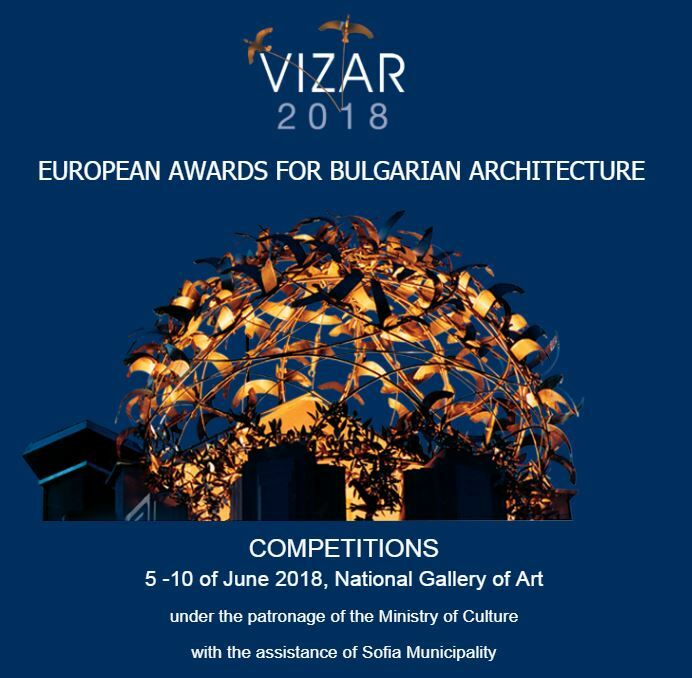 He will present BILDA – the only, universal, next generation façade cladding technology, on Friday (08.06.2018) at 17:30 in the Mirror Hall of the National Art Gallery! 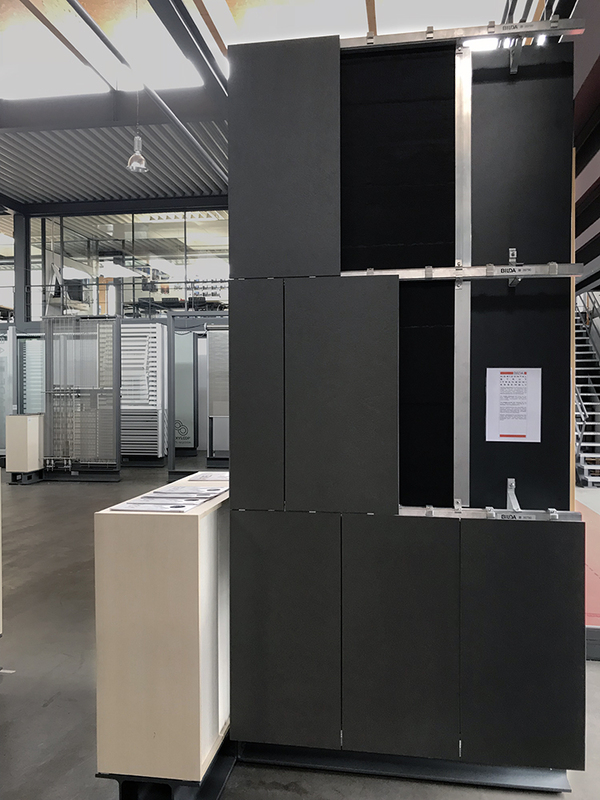 BILDA mock-up is already at Façade-Lab, showroom and workspace of the leading German building envelope consulting and facade engineering company, Priedemann Fassadenberatung GmbH. 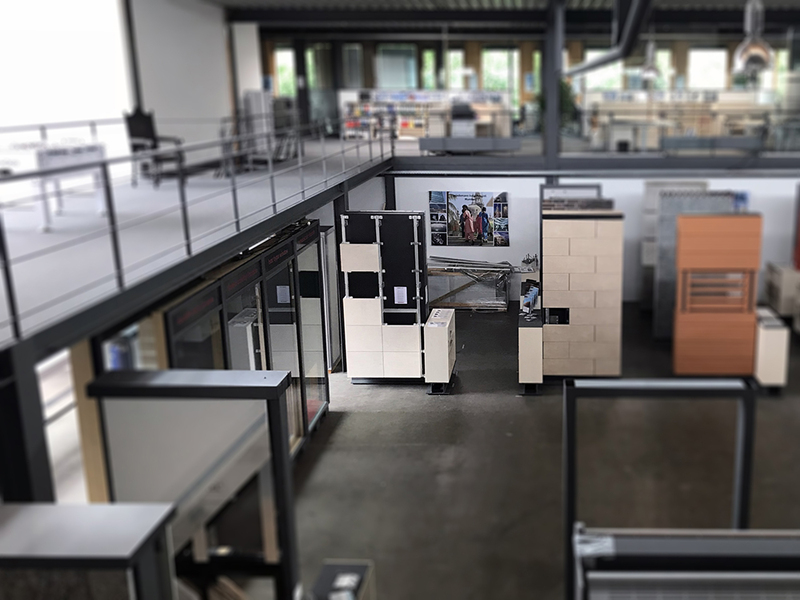 Façade-Lab is a place where architects, developers, investors, contractors, manufacturers and technicians come together to share research and development results and implement them on the market. 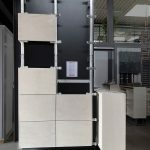 The showroom presents a wide range of façade materials and solutions as well as their possible applications. Your company is specialized in façade design. Could you tell us more about the façade solutions and systems you offer? STOA Ltd. has been active in the construction business for 16 years and is specialized in the complex design and installation of building enclosures – claddings, glazing systems and curtain walls. It is a well-known fact that rainscreen cladding is the most effective way of insulating buildings. Over the last thirty years, due to the constantly growing requirements to the energy characteristics of buildings, the thickness of façade thermal insulation has increased. As a result of this, ventilated cladding with mechanical fixing has come to be widely used. At present, cladding methods lag behind because of the adoption of an artisan or improvised approach. What is more, façade installation is fragmented and complicated: different façade materials are installed by different subcontractors, which makes the whole process more expensive and requires a larger workforce. These are just some of the problems STOA team has been trying to solve and thus the idea for developing a universal modular system for building the external enclosure was conceived. Could you tell us something more about your modular system for constructing the building enclosure? 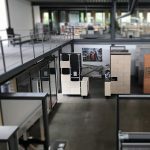 The system provides a complex universal solution for all types of materials – from thin composite materials to stone, ceramics, glass and others. Due to the excellent “strength-weight-cost” ratio of the system components the substructure is homogeneous, with by up to 30% lower cost as compared to other systems. The patented quick Lego-like coupling makes it possible to reduce installation time by up to 50%. The system has been developed for all known techniques of panel fixing, such as hole-and-dowel and undercut, but we mainly apply fixing with precision slot, which makes it possible to use thin and lighter panels and makes installation faster. What types of buildings are your façade solutions implemented in? What projects are you working on at the moment? 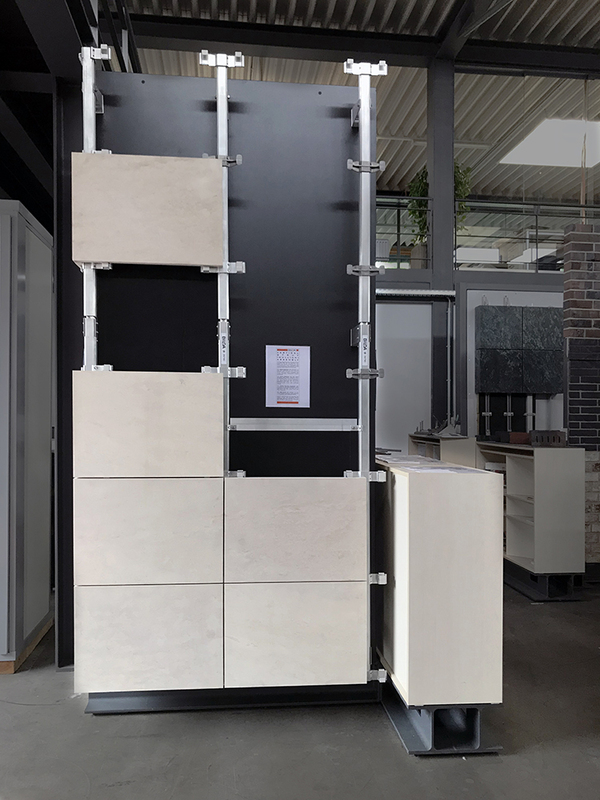 Our system is universal not only in terms of the cladding material that can be used but also regarding the cladding distance from the main load bearing structure and the system applicability in any climate or type of building. Our company’s portfolio comprises family country houses (Summer House, Chalkidiki), residential buildings (Vezul Tower, Dubai; Stolnik Building, Moscow; Charlottenhofe, Berlin; Onyx, Frankfurt), hotels (Hotel Casino International, Golden Sands), hospitals (Tokuda Hospital Sofia), corporate and administrative buildings (Sofia Ring Mall, Adgar 360⁰, Tel Aviv), etc. At the moment we are completing the overall cladding of GrafiX Business Centre on Tsarigradsko Shosse Blvd. opposite The Mall shopping center. That project demonstrates the application of our system not only for “cosmetic“cladding but also for modelling of complex volumes and reliefs. In recent years, after our system was patented in the USA, China, Europe and Eurasia, we have been quite active on the Bulgarian and international market. Clients from all over the world have displayed great interest in our system, which is a stimulus for us to develop further and become even better. Arch. Damian Stoynov was born on October, 6, 1956 in Sofia. He graduated from the University of Architecture, Civil Engineering and Geodesy, with a degree in Architecture in 1983. In 1982 he completed an internship in the Sofia office of the leading Japanese architect Kisho Kurokawa. After graduating he started working at architect Nikolay Chipev’s studio at the Sofia Architectural Organization “Sofproekt”. In the period 1989-1990 he worked in Milton Keynes, UK. In 1990 he founded KF STOA design and construction company. He has participated as a designer, constructor and manager in prestigious projects in Bulgaria, United Kingdom, Germany, Israel and Russia. At present he is the Managing Director of STOA Ltd., a company specialized in design, construction and façade technologies. TEKTA is once again delighted to be a part of the Verona Stone Fair 2017. 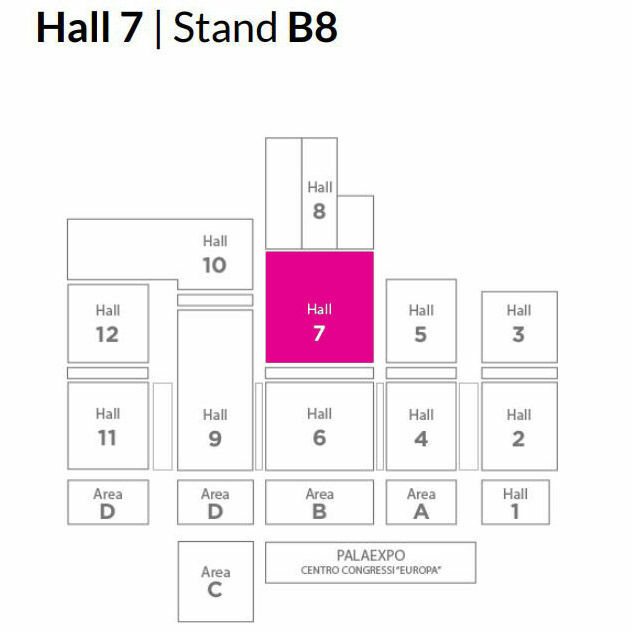 It will be a great opportunity to meet us and discover our full range of innovative products. We will be presenting TEKTA Cladding Technology in Hall 7 Stand B8 at the Verona Stone Fair 2017. Energy efficiency is a powerful tool for stimulating the economic and social development of society and achieving higher energy efficiency is a key element of ecologically sustainable development. The European Union is consistently pursuing a policy of enhancing energy efficiency and reducing energy consumption by adopting measures for the improvement of efficiency in the European community. These measures include boosting the energy characteristics of products, buildings and services. In the construction business the efforts to maximize efficiency are focused on the operation stage of buildings because the extraction, processing, transportation and use of materials that go into them are processes that consume a lot of energy and pollute the environment. The building envelope plays a crucial role for reducing heat losses through its architectural form and orientation, insulation capabilities, protection of the thermal bridges inside it and control of infiltration through its elements. The choice of a fixing system that will ensure maximum characteristics of the building enclosure is the key to the execution of an energy-optimal project. One-layer grid of horizontally or vertically positioned strut profiles resulting in substructure weight reduction and cost savings. TEKTA is an innovative integral technology for building the vertical platform of the exterior wall and for forming the façade through intelligent and sustainable use of resources to ensure lower energy consumption and greenhouse gas emissions during the whole life cycle of a building. Shorter time for execution and many others. At present the construction of the building enclosure is fragmented: one specialty contractor carries out the fixing of the load-bearing substructure, another installs the thermal insulation and yet another mounts the cladding panels. So many separate operations make execution more expensive, take longer and require more resources. 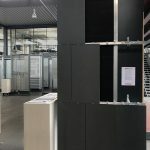 These are just some of the issues the team has to address in their everyday work and in trying to find solutions to these problems they came up with the idea of developing a single modular system for the construction of façades. The system provides a complex solution for mechanical fixing of ventilated facades and has enormous advantages. Its main components are the fixing system for the horizontal and vertical profiles, which form the load-bearing substructure and support the full set of interface components. The load-bearing function is transferred to the TEKTA construction, which is attached to the main structure of the building only to the floor plates, thus minimizing thermal bridges and increasing the energy efficiency of the exterior wall. Specially developed fixing of the thermal installation removes the limitations for the thickness of the insulation layer and facilitates the use of technologically new insulation materials. The Omega-channels of the strut profiles allow for their quick coupling and interlocking with the other elements on the basis of Lego-like principle of connection. The struts are lighter than the traditionally used rails because they are made of recyclable aluminium. The interface components are specially modelled for the purpose of the present system. Each element has a part or a contour corresponding to a part of the element to which it is attached. The patented assembly principle is that of dual clamping and hooking. © 1990-2019 STOA Ltd. All rights reserved.